There is a place that I want to tell you about, a place where the kids can run free, where they can rock, roll and even fly! 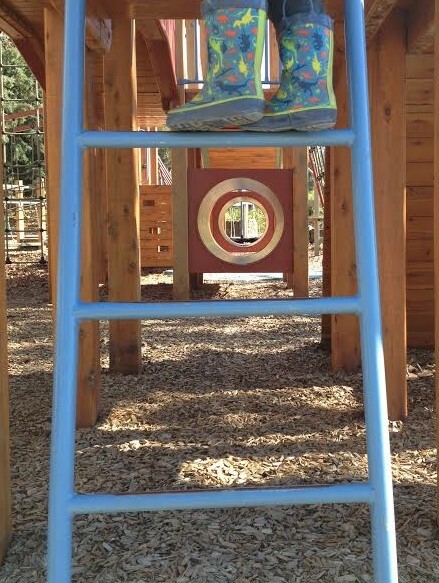 So, if you have been following your tastebuds through the Yarra Valley and need a stop where the little ones can release some energy then Yarra Glen Adventure Playground is for you. 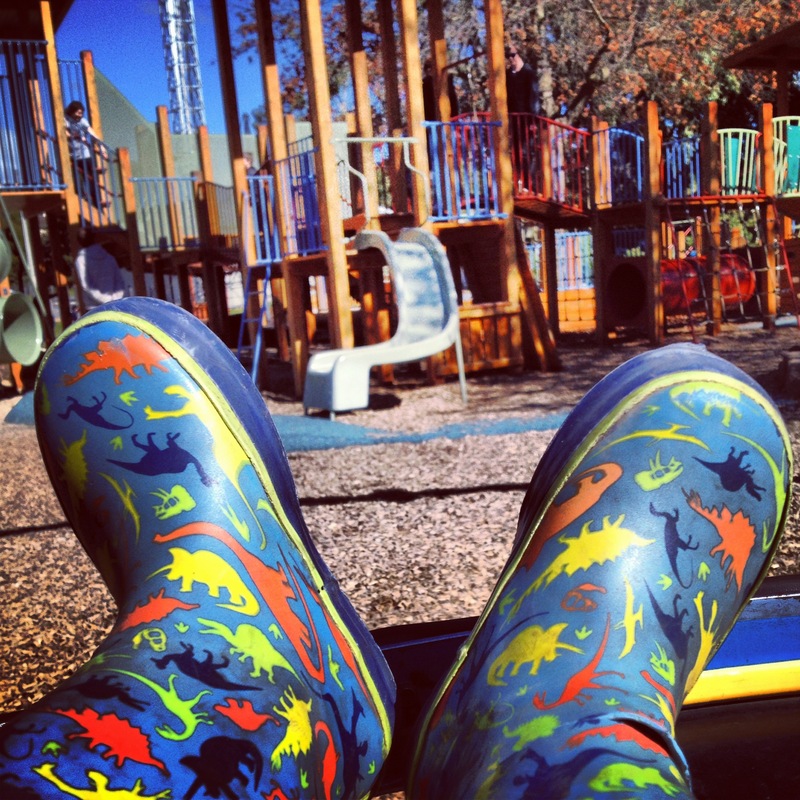 This Mum is completely at ease watching her 4 year old enjoy his childhood at this playground. 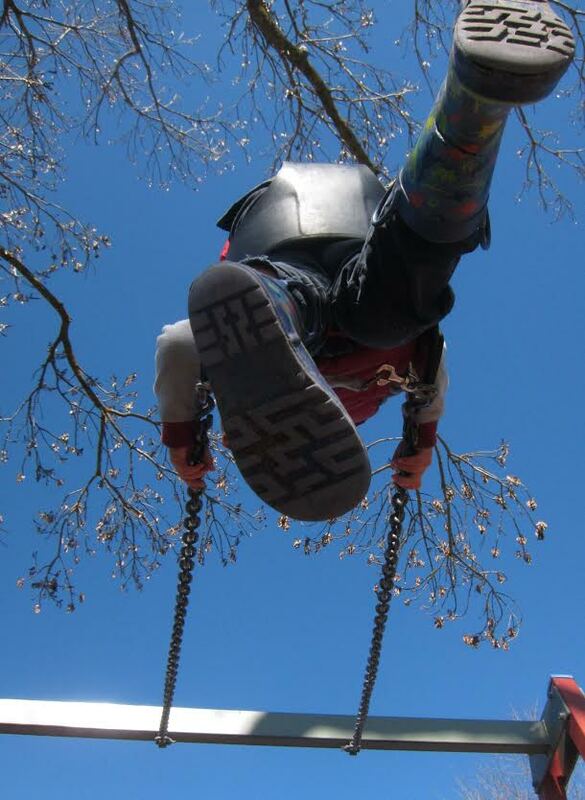 It is full of mini adventures for the children; they can assist the dung beetles, go and rock the world with a few mates on the seesaw, flood castles made from sand and fly so high they can touch the sky (otherwise known as swinging). 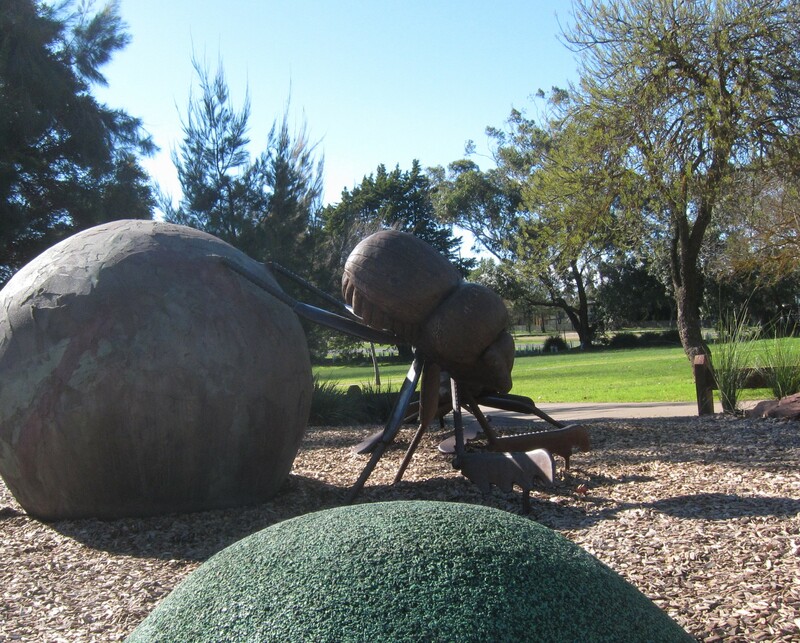 This park is littered with interactive play stations as well – my son loves anything that spins, so the thunder wheel is his favourite, closely followed by what I like to call the hypno-beetle (watch the swirl spin for 30 seconds then look at the picture of the beetle, I’m not sure what the beetle does but Son-shine loves to spin the swirl). 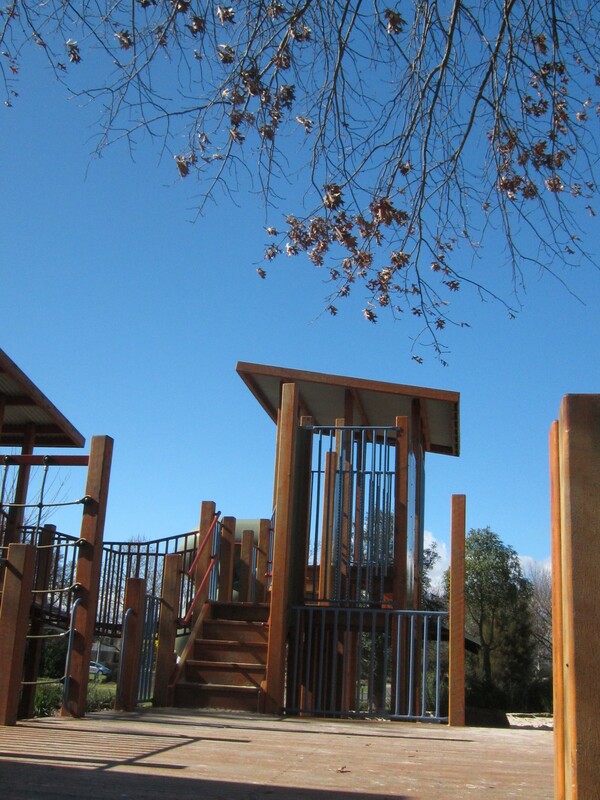 If you are looking for a day full of fun for the children I would highly recommend a family lunch at the Yarra Glen Grand Hotel, followed by a play at the Adventure Park then heading to the Yarra Valley Chocolaterie for a sweet end to your day. Watch your heads, flying boots above.